The 72-hour rule states that if you do not take the first step toward applying a new learning and idea within the first 72 hours, the likelihood that you will implement it quickly approaches zero. New learnings, new insights, and new knowledge carry an energetic potential for change. I call this energetic potential – the “protein value” of learning. At the point you receive and experience a new insight, the potency for change is 100%. Below 51%, the energetic potential for change is diluted to the point of ineffectuality. Which practically means that the gravitational pull of current conditions, habits, and the entrenched inertia override and cancel the change energy initiated by the learning and gravitational pull of a new and different future. Stage 1 – you receive: you learn a new skill. Stage 2 – you understand: you test the learning to validate and confirm it. Stage 3 – you apply: you put the new skill to use within 72 hours. Stage 4 – you teach and take ownership: you create success with the new skill, which motivates you to continue using the skill, teach it to others and learn more new skills. The leverage is in the velocity of implementation—how fast you move from idea to development and practice. Sharing the new information and skill with others through teaching and coaching crystallizes your own learning and enables you to achieve a new level of mastery. An idea is only as good as its concretizing action. You need to move immediately to augment the potency of change and build the momentum of new results. The “muscle” to practice is the concretizing muscle – it’s the muscle that determines your application velocity and accelerates the movement from idea up through the spiral to implementation. 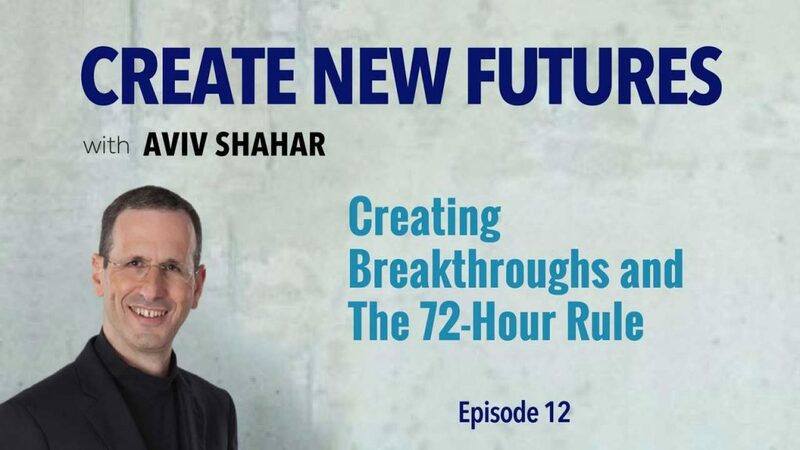 How will you activate the 72-Hour rule today? Who will you teach and share these ideas with to build the momentous and virtuous cycle of learning breakthroughs? We are here to enable new growth, and to help create new futures.